Bus Driver Appreciation Card: Free Printable! You are here: Home / Celebrate / Bus Driver Appreciation Card: Free Printable! Say “thank you” to the special person who takes your kids safely to school every day with a free printable bus driver appreciation card! Plus, get ideas for a gift to accompany it. Miss Dorothy was my kindergarten bus driver, who graciously held on to my forgotten teddy bear at the bus dispatcher’s office until my mom arrived to retrieve it – more times than I’d like to admit. Then there was Mr. Tom, who drove my bus route throughout elementary school. In the warmer months, his short-sleeved shirt revealed a huge tattoo of a bikini-clad lady on his forearm. My mom was fond of Miss Dorothy’s ability to spot stuffed animals hiding in the seats, and she didn’t approve of Mr. Tom’s tattoo. But, she appreciated them equally for safely delivering me to and from school every day, so she always made sure to give them a little gift at the holidays. Now I have a little bus-rider of my own, and Mr. Fran, my son’s kindergarten bus driver, is a warm and friendly guy who the kids and parents all love. Want to give your child’s bus driver something extra special? Here are a few cute bus driver appreciation gift ideas. Just click on an image to go right to the product. Please note that if you click and make a purchase, I may make a small commission at no cost to you. Your support keeps this blog up and running! For more information, please see my disclosures. Bus Driver Appreciation Card – A Free Printable for You! I made him a special a bus driver appreciation card for Mr. Fran to let him know that we’re thankful for all he does to make my boy’s ride to school safe and fun. This card and many other free printables are available in the No Pressure Life Library! Enter your email address in the form below. After you confirm your subscription, you will receive a link to the password-protected printables library where you can download the bus driver appreciation card. The best part? You’ll find out when there are new free printables in the library, plus the weekly newsletter with lots of practical home ideas. Sign up to get this free printable plus access to many others in my resource library! Check out these other free printables! I love this printable, the idea, and the wording. While you're waiting for the password for the free printable library, don't miss this offer! 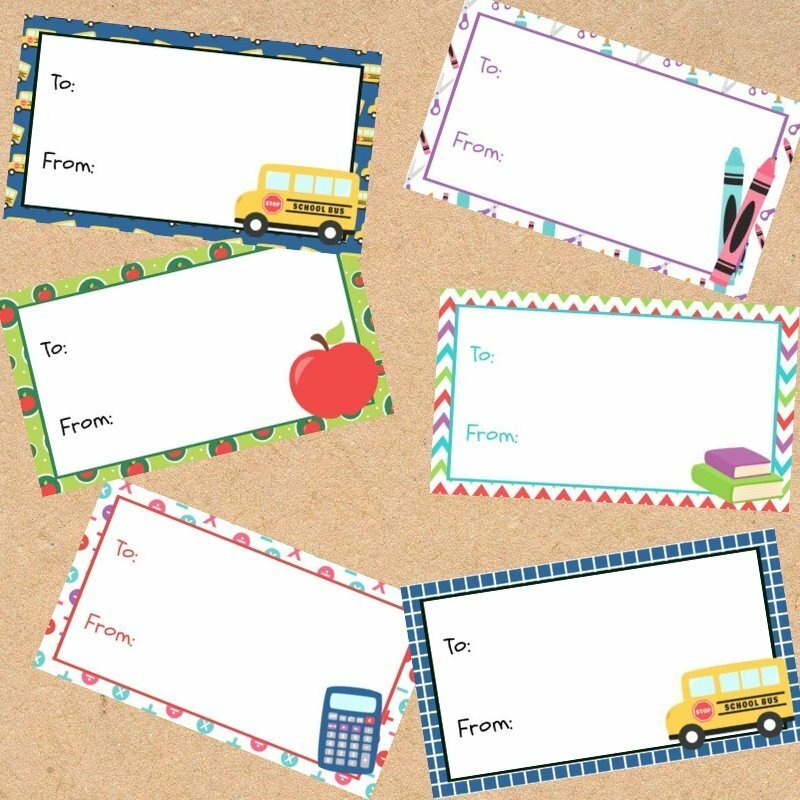 Always be prepared to thank teachers and bus drivers with this adorable set of printable gift tags! BUY NOW - JUST $5!